Whenever I visit Ireland I always make sure that an obligatory visit to Dunnes Stores is made because we don't have this shop on the mainland. 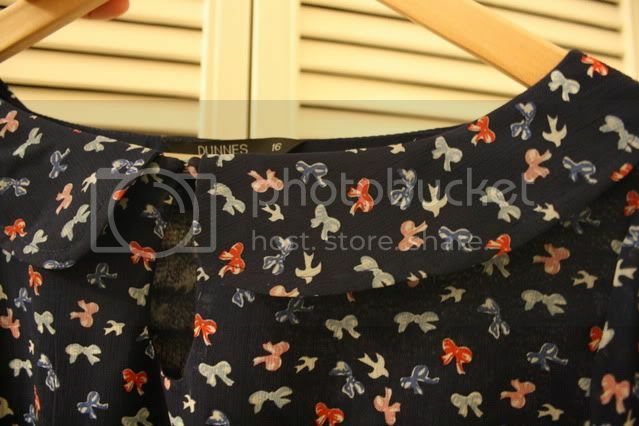 I like to think that Dunnes is a cross between Marks and Spencer and Primark because all the clothes are somewhat cheap but of good(ish) quality and sensible with a splash of contemporary fashion when it comes to style. It's a great place to pick up decent essentials like leggings, tshirts, shoes, pretty dresses and nightwear. When we visited last week the sales were coming to an end so he stock was pretty dire but I did manage to grab a couple of bargains. This dress is so pretty and covered in bows can you believe it (you probably can)! The sleeves are sheer and it has my favourite accessory, a Peter Pan collar. It came with a red skinny belt too which adds a nice pop of colour. I can't wait to wear this with frilly socks and clogs this summer. This is a simple jersey dress with a rara skirt. It's extremely easy to wear and also looks great when worn with skirts. The material is extremely comfortable and the floral pattern is perfect for the warmer months. Right now I'm wearing it with opaque tights and brogues but once the warmer weather hits, it'll be big sunglasses and gold sandals all the way. This skirt is probably my favourite item and was in the sale for only £2, what a bargain! I tried a similar skirt in Topshop about a year ago but didn't buy it so I was thrilled to find this. It's high waisted and the green tartan print is right up my street. 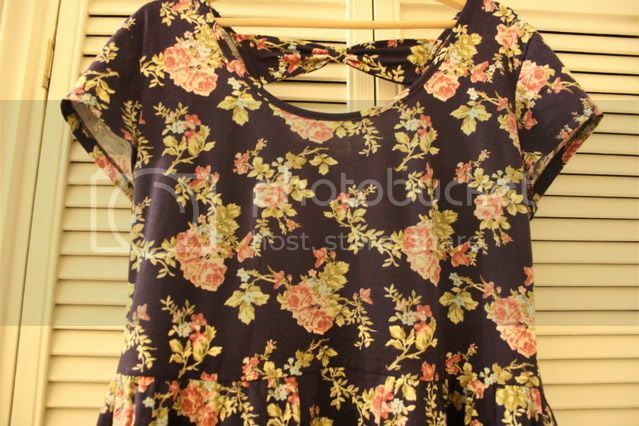 I've worn it with the floral dress but I can't wait to style it with my camel tee, a grey vest or a crisp white shirt. It really is so easy to wear and I just adore those gold buttons. I also bought a pair of black leggings (you can never have too many) and am planning a little DIY job with them which I'll share with you at a later date. I'm quite looking forward to this because I don't really do any DIY but I've been looking for a particular item of clothing that I can't find any where so I'm just going to make it myself. Did anyone watch the new Gok Wan show last night? I kinda love to hate what he styles, I think all the DIY is fantastic but in reality I don't think that many people can do or be bothered to go to such great lengths. I do love the show for Brix though, I think she is so funny and always styles up lush outfit and of course her pugs are the most adorable thing ever!! 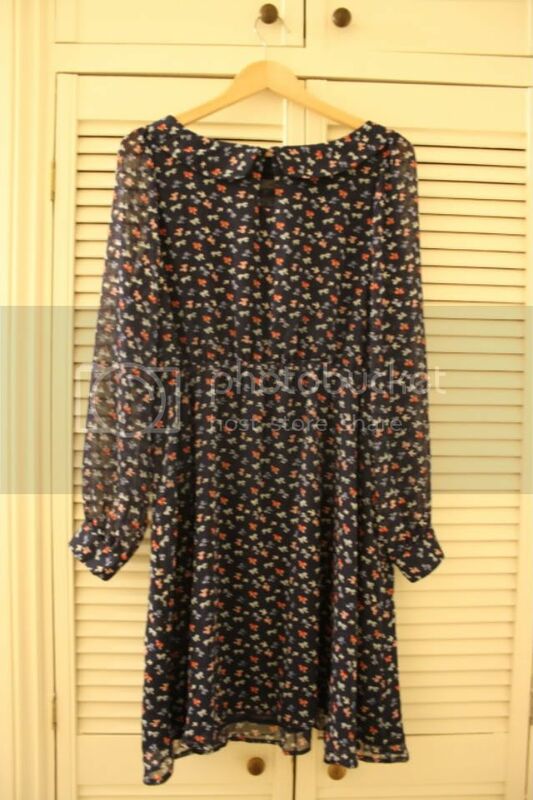 I love that bow print dress, super cute. I'm looking forward to my next trip to Ireland, I'll be checking out Dunnes. The tartan skirt is lovely, looking forward to seeing how you style it! I only once shopped in Dunnes and it was for PJ bottoms so in my head it is associated with that, but I better go and check it out! 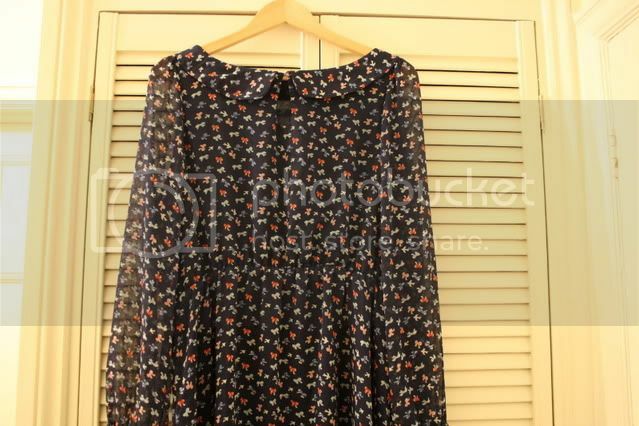 The bow print dress is so cute! I think the first dress is my favourite, its gorgeous. So, um, yeah, can I just make you my personal shopper? loving these bargains! especially the second dress! That first dress is bloody amazing - jealous! 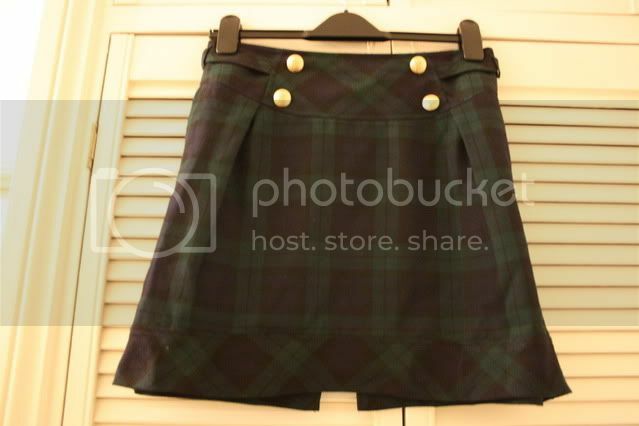 Can't believe that tartan skirt was only £2 - wishing I had a Dunnes to visit now! Cute bow pattern dress. Thank you for the lovely comment, it means alot. it's in a little(ish) town in Greater Manchester, don't know whether you know Manch well at all? That bow dress with the floral print is to die for! I've seen a few people don on Dunnes Clothing and so far either Dunnes stores have hidden treasures or really good collections. I'm liking all three pieces very much! I like the other ones too and only £2 for a skirt! wow! Can't wait to see them on you dear, i'm sure you're gonna rock them with your style! 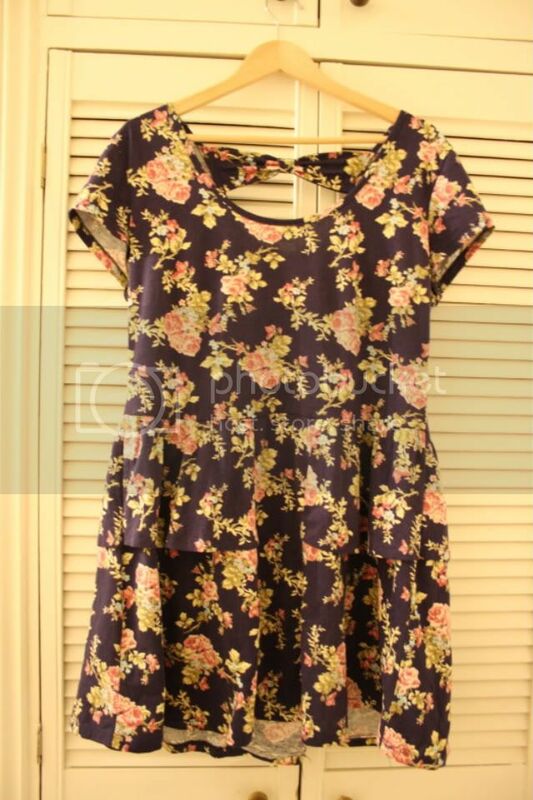 I love the flowery dress! loving bow Dream Nation, its totaly making me want to head to the nearest fabric shop, and pick up some pocka dot fabric to make some bows and add to a few dull dress's hanging in my wardrobe. AHH! In love with the dresses!